You can now earn ONE EASY LEED POINT by operating Mean Green Mowers! LEED, originates from the acronym for “Leadership in Energy and Environmental Design”. LEED is an internationally recognized third party certification system for buildings and communities that are transforming the building industry toward energy and water efficiency, better stewardship of our natural resources, and a healthier living, working and learning environment. LEED rating systems exist for all building types, including commercial buildings, homes, schools and even neighborhoods, as well as for both new construction and the ongoing operations and maintenance of existing buildings. USGBC’s national members from across the building continuum develop and continually refine the LEED rating systems, ensuring an adaptive, open, collaborative, and technically rigorous green building framework. By design, LEED evolves along with our understanding of building science, the emergence of new technologies, the needs of the marketplace, and the deepening of social and environmental priorities. Mean Green Products, LLC is proud to be involved in the USGBC’s LEED certification program. 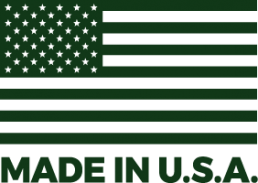 We believe Mean Green Mowers are a perfect fit for LEED points since these environmentally friendly mowers eliminate CO2 emissions from grounds and lawn care at homes, schools, government agencies, and corporations.